Backyard Green Films has won a prestigious Award of Merit from The IndieFEST Film Awards! The award was given for Director Rick Bowman’s exciting documentary, Hillsville 1912: A Shooting in the Court. The documentary tells an exceptional story about the Carroll County, VA courthouse shooting featuring the narration of actor David Heath, animation by the award winning Dave Hamby and DoubleTake Media Solutions, and music by Mike Conner and John Miller. The Indie Fest recognizes film professionals who demonstrate exceptional achievement in craft and creativity, and those who produce standout entertainment or contribute to profound social change. Entries are judged by highly qualified professionals in the film industry. Information about the Indie Fest and a list of recent winners can be found at The Indie Fest. 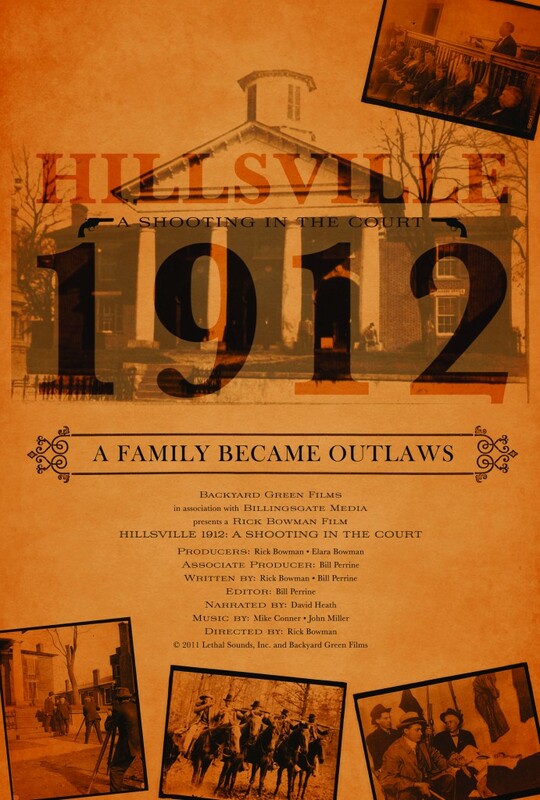 Click here for the Hillsville 1912 documentary trailer. For more information about this film visit Backyard Green Films.